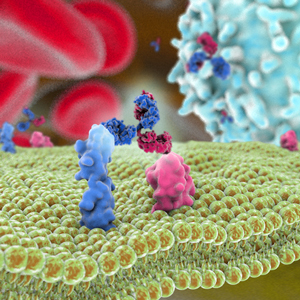 The popular “Antibodies to watch” articles aim to update members of The Antibody Society, as well as the broader scientific community, on progress in the late-stage clinical development of innovative antibody therapeutics. 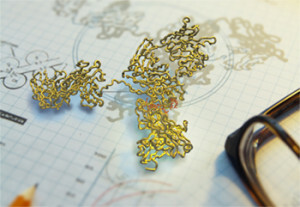 Data for these molecules (60 as of March 22, 2019) are made available in the Members Only area of The Antibody Society’s website. We are pleased to announce that we are expanding our coverage of the commercial clinical pipeline to include data for antibody therapeutics that have recently entered clinical study. 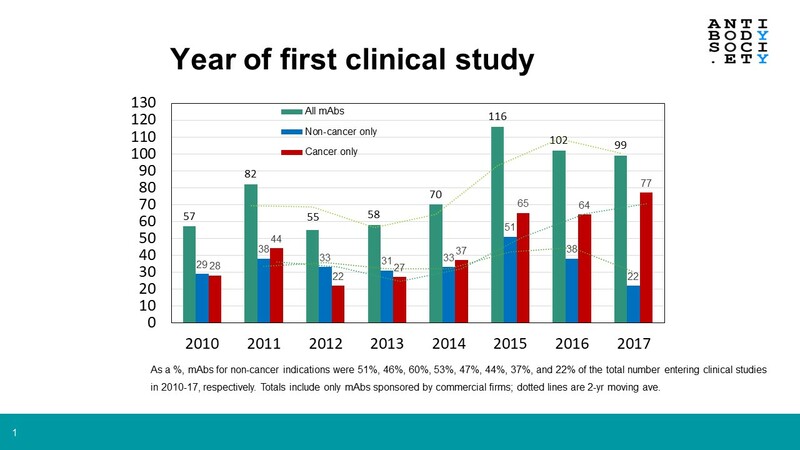 Two factors motivated us: 1) the remarkable increase in the number entering clinical study annually (to ~120 in 2018); and 2) the remarkable focus on antibodies developed for cancer (~80% of the total in 2018). Data for antibody therapeutics that entered clinical study recently, in Excel format, may be downloaded from the Members Only area. 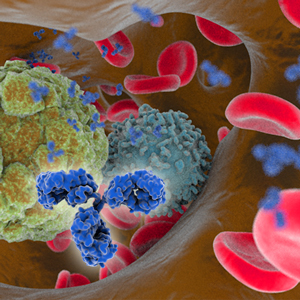 The biopharmaceutical industry’s intense focus on the development of antibody therapeutics, and particularly those for cancer, is unabated in 2019, according to the data available by mid-March. We have identified 17 antibody therapeutics for which an application to start clinical study was filed or a Phase 1 study was started in 2019, and an additional 11 antibody therapeutics with clinical studies not yet recruiting patients, as listed on clinicaltrials.gov. The rate of clinical entry for antibody therapeutics so far in 2019 is thus similar to that observed in 2018 (~10 per month). The trend toward development of antibodies as treatments for cancer is also quite similar. Of the 2019 cohort so far identified, 22 of 28 (79%) are for cancer. The commercial clinical pipeline of cancer therapies has become increasingly dominated by 3 categories of antibodies: 1) immune checkpoint modulators; 2) antibody-drug conjugates (ADCs); and 3) bispecific antibodies (see figure for details). Our data so far suggests that this trend will continue in 2019, as nearly three-quarters of the antibody therapeutics currently in the 2019 cohort fit in one (or more) of the 3 categories. Examples of antibodies that fit more than 1 category include TG-1801 (TG Therapeutics, Inc., Novimmune SA), a bispecific antibody targeting the immune checkpoint CD47 as well as CD19, and INBRX-105 (Inhibrx, Inc.), a bispecific antibody targeting the immune checkpoints PD-L1 and 4-1BB. TG-1801, a human IgG1 designed to target and deplete B-cells, is undergoing evaluation in a Phase 1 study (NCT03804996) of patients with B-cell lymphoma. INBRX-105 is undergoing evaluation as a treatment for hematological and solid tumors in a Phase 1 study (NCT03809624). More to come! Throughout 2019, we will track and report on the development of all antibody therapeutics that enter clinical study during the year. Attention members! Please log in to access our data for all antibody therapeutics that entered clinical study during 2018 or so far in 2019. After logging in, click on ‘Antibodies in early-stage studies’ in the Members Only dropdown menu. Data will be updated throughout 2019. Is R&D of antibody therapeutics for non-cancer diseases in decline? 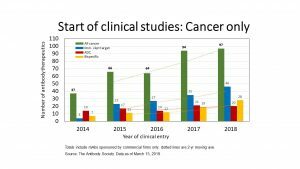 The number of first approvals of antibodies for non-cancer diseases is expected to be especially high in 2018, with 3 already approved in either the US or EU (burosomab, ibalizumab, tildrakizumab) and another 7 that may be approved by the end of the year. Burosumab (burosumab-twza; Crysvita), which targets fibroblast growth factor 23, was approved in the EU and US in February and April 2018, respectively, for X-linked hypophosphatemia. The anti-CD4 product ibalizumab-uiyk (Trogarzo) was first approved in the US in March 2018 for treatment of patients with multi-drug resistant HIV infection. Tildrakizumab-asmn (Ilumya), which targets interleukin-23p19, was approved in the US in March for treatment of moderate-to-severe plaque psoriasis. Antibodies for non-cancer indications that may be approved by the end of the year include three for the prevention of migraine (erenumab, fremanezumab, galcanezumab), two for cardiovascular/hemostasis indications (caplacizumab for the treatment of acquired thrombotic thrombocytopenic purpura; lanadelumab for prevention of hereditary angioedema attacks) and one (emapalumab) for treatment of primary hemophagocytic lymphohistiocytosis, which is a clinical syndrome of hyperinflammation that is lethal if untreated. In addition, romosozumab, which targets sclerostin, is in review in the EU and US as a treatment for osteoporosis, but the US Food and Drug Administration has requested additional clinical data from Phase 3 studies. Despite the success of antibodies for non-cancer diseases, the percentage of these molecules entering first-in-human studies has recently declined [Figure 1]. Whereas during 2010-2014 antibodies for non-cancer diseases comprised 46-60% of all antibodies entering clinical study each year, they have comprised a declining percentage in all subsequent years (44%, 37% and 22% in 2015, 2016 and 2017, respectively). It must be noted that there was a substantial increase in the total number of antibody therapeutics entering clinical studies during the 2015-17 (ave. 106/year) compared to 2010-2014 (ave. 64/year). Nevertheless, the number of antibodies for non-cancer diseases that entered studies in 2017 was the lowest (so far) in this decade. One reason for this decline may be the current focus of research on antibodies that modulate immune checkpoints or redirect T cells and on immunoconjugates such as antibody-drug conjugates, which are almost exclusively developed as treatments for cancer. While the number of antibodies for non-cancer diseases in Phase 2 studies (~130) is likely sufficient to replenish the number in Phase 3 studies and regulatory review in the short term, early-stage studies of more will be needed to sustain the flow of these therapeutics onto the market well into the future. Kaplon H, Reichert JM. Antibodies to watch in 2018. MAbs. 2018 Feb/Mar;10(2):183-203. Like this post but not a member? Please join! Membership is free for students, post-docs and employees of the Society’s corporate sponsors. The pace of antibody therapeutics development accelerated in 2017, and this faster pace is projected to continue through 2018. Notably, the annual number of antibody therapeutics granted a first approval in either the European Union (EU) or United States (US) reached double-digits (total of 10) for the first time in 2017. The 10 antibodies granted approvals are: brodalumab, dupilumab, sarilumab, guselkumab, benralizumab, ocrelizumab, inotuzumab ozogamicin, avelumab, duvalumab, and emicizumab. Brodalumab, however, had already been approved in Japan in 2016. As of mid-December 2017, 10 antibody therapeutics (ibalizumab, burosumab, tildrakizumab, caplacizumab, erenumab, fremanezumab, galcanezumab, romosozumab, mogamulizumab, cemiplimab) were in regulatory review in the EU or US, and regulatory actions on their marketing applications are expected by the end of 2018. Based on company announcements and estimated clinical study primary completion dates, and assuming the study results are positive, marketing applications for at least 13 antibody therapeutics that are now being evaluated in late-stage clinical studies may be submitted by the end of 2018. Of the 13 candidates, 8 are for non-cancer indications (lanadelumab, crizanlizumab, ravulizumab, eptinezumab, risankizumab, satralizumab, brolucizumab, PRO140) and 5 are for cancer (sacituzumab govitecan, moxetumomab pasudotox, cemiplimab, ublituximab, isatuximab). Additional antibody therapeutics to watch in 2018 include 19 mAbs undergoing evaluation in late-stage studies with primary completion dates in late 2017 or during 2018. Of these mAbs, 9 are for non-cancer indications (lampalizumab, roledumab, emapalumab, fasinumab, tanezumab, etrolizumab, NEOD001, gantenerumab, anifrolumab) and 10 are for cancer indications (tremelimumab, isatuximab, BCD-100, carotuximab, camrelizumab, IBI308, glembatumumab vedotin, mirvetuximab soravtansine, oportuzumab monatox, L19IL2/L19TNF). Positive clinical study results may enable marketing application submissions in 2018. Brief summaries of these antibody therapeutics are provided in the ‘Antibodies to watch in 2018’ article, which is now available on the mAbs website. A PDF of this open-access article is available here. Since 2010, the “Antibodies to watch” article series has documented annually the number and identities of commercially sponsored antibody therapeutics in Phase 3 studies, regulatory review and those recently approved in the US and EU. Taken together, the articles have captured the extraordinary doubling of the number of antibody therapeutics in Phase 3 studies from 26 to 53, as identified in the “Antibodies to watch in 2010” and “Antibodies to watch in 2016” articles, respectively. Due to the highly dynamic nature of antibody therapeutics development, numerous transitions have occurred during 2016, and the Society offers here a mid-year update to data reported in the “Antibodies to watch in 2016” article. As described in our previous posts, 4 antibody therapeutics (atezolizumab, reslizumab, ixekizumab, obiltoxaximab) were granted first marketing authorizations in either the US or EU during January to June 2016. As of mid-2016, marketing applications for 8 antibody therapeutics are being considered for first approvals in the US or EU. Of these, 5 applications (olaratuzumab, bezlotoxumab, sarilumab, brodalumab, ocrelizumab) have Food and Drug Administration action dates during September -December 2016. Recommendations by the European Medicines Agency on applications for Xilonix and inotuzumab ozogamicin could be made in 2016, but additional time would be needed for the European Commission’s decision regarding whether to grant the marketing authorization. It thus remains to be seen whether the number of antibody therapeutics approved in the US or EU during 2016 will match or exceed the record of 9 approvals granted in a single year set in 2015. 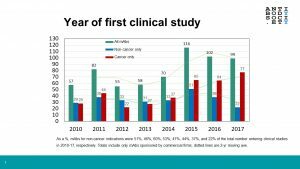 As of mid-2016, 53 unique antibody therapeutics were in Phase 3 studies. This is the same total number noted in the “Antibodies to watch in 2016” article, but the antibodies included in the totals are not all the same. The tables included in this mid-year update result from the addition of antibodies that started a first Phase 3 study in late 2015 to mid-2016, and deletion of antibodies that transitioned to regulatory review, reverted to an earlier clinical phase or had their development suspended or terminated. Compared to the totals included in the “Antibodies to watch in 2016” article, the number of antibodies in Phase 3 studies for cancer indications as of mid-2016 decreased slightly (from 17 to 15, respectively), while those for non-cancer indications increased slightly (from 36 to 38, respectively). 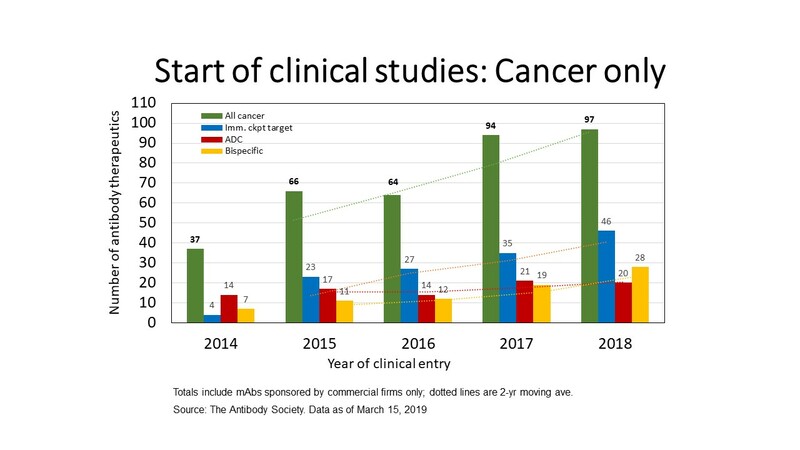 Antibodies for cancer represent only 28% of the current commercial Phase 3 pipeline, although they are ~55% of the overall clinical pipeline of therapeutic antibodies. The 15 antibody therapeutics in Phase 3 studies for cancer indications are notable for the diversity in their composition. Of the 15, 6 (40%) are non-canonical antibodies (1 radiolabeled antibody, 1 scFv-containing liposome, 2 immunotoxins, 2 antibody-drug conjugates (ADCs)), and a majority of the canonical antibodies (i.e., full-length IgG1, 2 or 4) are Fc- or glyco-engineered to enhance functionality. The 2 ADCs now in Phase 3 studies represent a vanguard, as this type of antibody therapeutic has entered clinical studies in large numbers only recently. Of the ADCs currently in clinical studies, most (44/56, 79%) are in either Phase 1 or Phase 1/2 studies, and most (55/56) are for cancer indications. ADCs now comprise ~20% of the clinical pipeline of antibodies for cancer, but ~11% of all antibodies in clinical development. There is substantial diversity of the targets, drugs, linkers, and drug-to-antibody ratios of the ADCs in the clinic. For example, of the ADCs in the clinic, targets for 51 have been disclosed, and 39 of these 51 targets are unique, i.e., only one ADC in clinical studies is known to target that particular antigen. Antigens known to be the target of more than one ADC in clinical studies include CD19, CD37, EGFR, HER2 and mesothelin. The diversity of the molecules may initially serve as a hindrance, but knowledge gained by the development of this class of molecules should increase overall as more ADCs enter clinical studies, transition through the phases and join the two ADCs currently on the market, brentuximab vedotin (Adcetris®) and ado-trastuzumab vedotin (Kadcyla®). Antibodies for non-cancer indications dominate the current commercial Phase 3 pipeline. Unlike the antibodies for cancer, the 38 antibodies in Phase 3 studies for non-cancer indications are mostly canonical full-length IgG1, 2 or 4 molecules. Only 4 of the 38 (~11%) are non-canonical molecules: 1 bispecific antibody and 3 antibody ‘fragments’ (scFv, Fab, nanobody). Like ADCs, bispecific antibodies are expected to comprise a larger percentage of the Phase 3 pipeline in the next ~6-8 years. Bispecific antibodies now comprise ~9% of the entire commercial pipeline of antibody therapeutics, but most (32/45, 71%) of those are currently in early clinical studies (either Phase 1 or Phase 1/2). Compared to ADCs, bispecific antibodies are undergoing evaluation in a broader range of indications, although the majority of bispecifics (30/45, 67%) are for cancer and they comprise ~11% of the clinical pipeline of antibodies for cancer. The two bispecific antibodies now on the market, catumaxomab (Removab®) and blinatumomab (BLINCYTO®), are both for cancer. Nevertheless, the one bispecific antibody now in Phase 3 studies, emicizumab, is for a non-cancer indication (hemophilia A). The clinical pipeline of antibody therapeutics, including at Phase 3, is highly dynamic. The Antibody Society will continue to track antibodies in the clinic, and report progress to its members. Acknowledgements: The Antibody Society thanks Hanson Wade for access to the Beacon ADC database. Like this post? 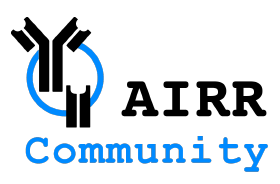 Please become a member!